Summa summa summa summa time. Yep, it’s that time of year to smash up fruit with booze and it declare it happy hour whenever you please. Who’s with me? I’m kind of a mojito girl. Yes, I’m also a margarita girl – don’t get it twisted. But who can be mad at white rum? Especially when it goes so perfectly with ripe summer berries, fresh basil and a hint of lime. Haters begone. This cocktail is rather simple. Muddle berries, lime and sugar. Add basil, muddle a little more. Add some crushed ice and stir. Add club soda and gently stir. 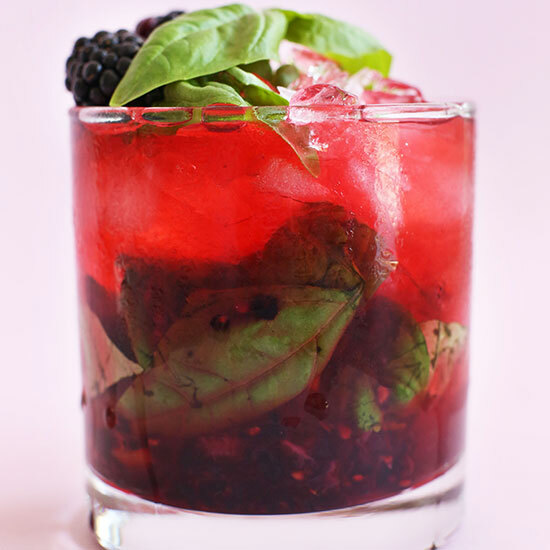 Top with more crushed ice, basil and a blackberry (or two). See? I told you you could do it. 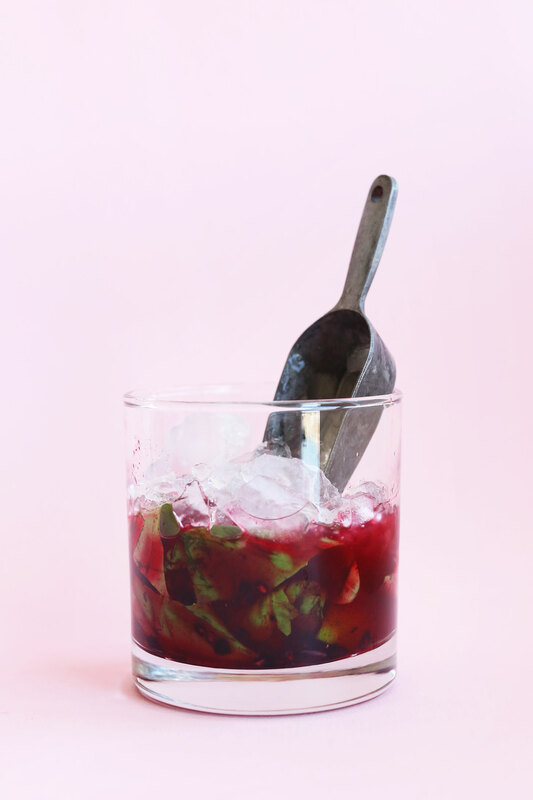 We’ve been enjoying this mojito as an at-home happy hour. If you aren’t a fan of or don’t have basil, swap it for mint for a more classic version. And though I haven’t tried it with other fruit combinations, I imagine cherries and raspberries would be amazing. If you make this drink, let us know! Leave a comment and rate it. And don’t forget to take a picture and tag it #minimalistbaker on Instagram so we can see. Cheers, friends! 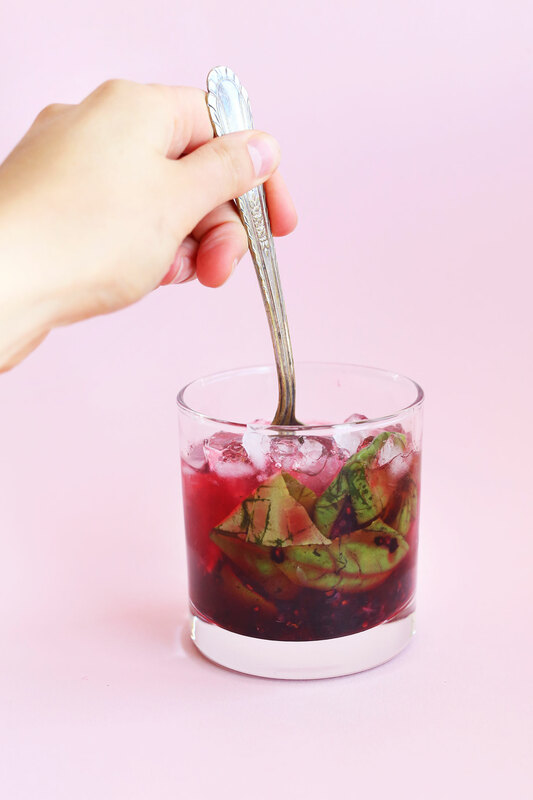 This 7-ingredient Blackberry Basil Mojito is refreshing, simple to make, and a lovely balance of tart and sweet. Perfect for happy hours, entertaining, and making the most of all that beautiful summer produce. 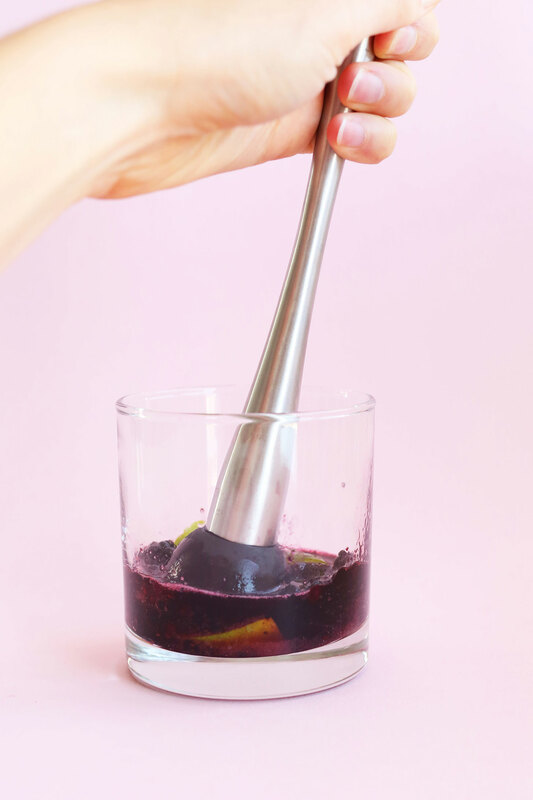 Add lime segments, blackberries, and sugar to a cocktail glass and gently muddle 7-8 times (use a muddler or anything with a blunt edge, such as the handle end of a spatula). Add basil and gently muddle again 4-5 times to infuse flavor. Add white rum and gently stir/fold with a spoon to combine. Then add crushed ice, gently stir, and top with a splash of club soda. Gently stir/fold once more. 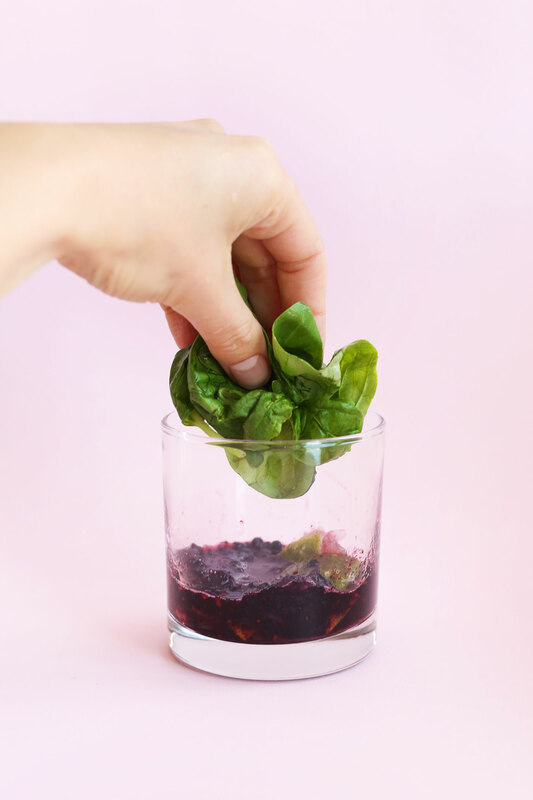 Then garnish with a bit more crushed ice and garnish with basil. * Adapted from the Man, Jamie Oliver. I didn’t have Raspberries but I had watermelon puree frozen ice cubes. Omgosh! So good! So happy I found your recipe. Oh that sounds delicious, Khris! Would it be possible to substitute white rum for dark rum? I have two bottles at home that I rarely use, and would prefer not to get another I don’t drink from. Thank you. Hi Kristin! You could try that out, but I’m not sure how successful it would be as the flavor would be quite different. If you give it a try, report back! I made this with a ginger white rum and it was divine. My husband doesn’t like the mint in a traditional mojito and I never thought to sub in basil. Thanks! I attended a mixology class where we had to make our own drinks. I did a variation on this. 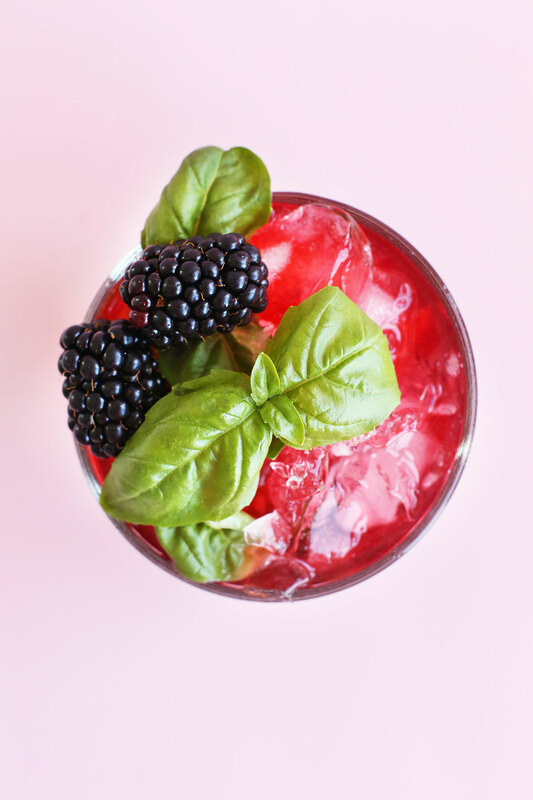 I did blackberry basil with lemon and vodka. I used a vanilla simple syrup instead of the sugar. My drink won 1st place. I’m not a drinker. Anything I can add as a substitute for the rum? In love with these awesome and delicious Cocktails! Looks like a great summer bev! Keep all these wonderful recipes coming. I love receiving them even though I don’t always comment. I am building my healthy food arsenal! Thanks! thanks Auntie! I know you follow along. Hope you guys love this one! I’ve been making this with fresh marionberries all weekend, yum! My husband would love this! He is a big fan of basil in anything. The colors are beautiful, too! Thanks for sharing this recipe. This is an amazing recipe. I’m drooling looking at your pictures. So perfect for summer! HOLY MOTHER OF PEARL!!!!! I tried this last night. IT WAS AMAZING!!! I kind of made 4 of them. Shhh dont judge. 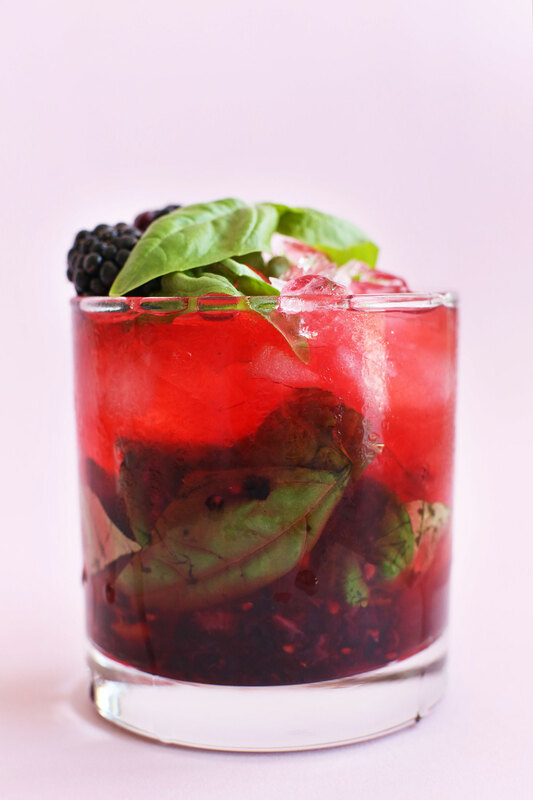 I love how the tartness of the blackberry counters the slight bitterness of the basil. They work seamlessly together on your palate. This is by far my new favorite drink. THANK YOU FOR SHARING!!! Clearly the flavor rocks but the color too is so pretty! That’s a great mojito. Hi Dana, this is just awesome. Thanks a lot for sharing. Ummmm…this could not look any more delicious. Pretty sure I need this in my life. Also, I just remembered something I need to text you about! Also…look at me actually commenting on a blog post and not just lurking :). This looks and sounds refreshing. 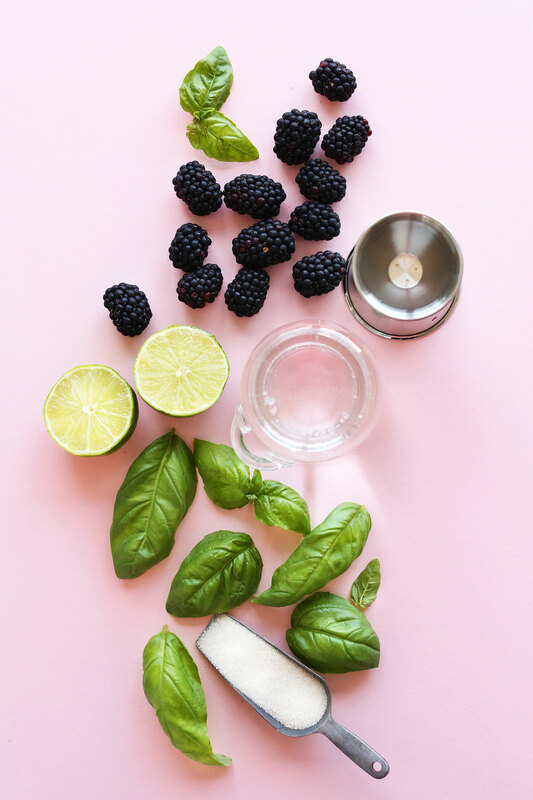 I’ve been loving Mojitos lately and need to try this version with basil and berries. Pinned! Thanks Ana! Hope you give it a try! 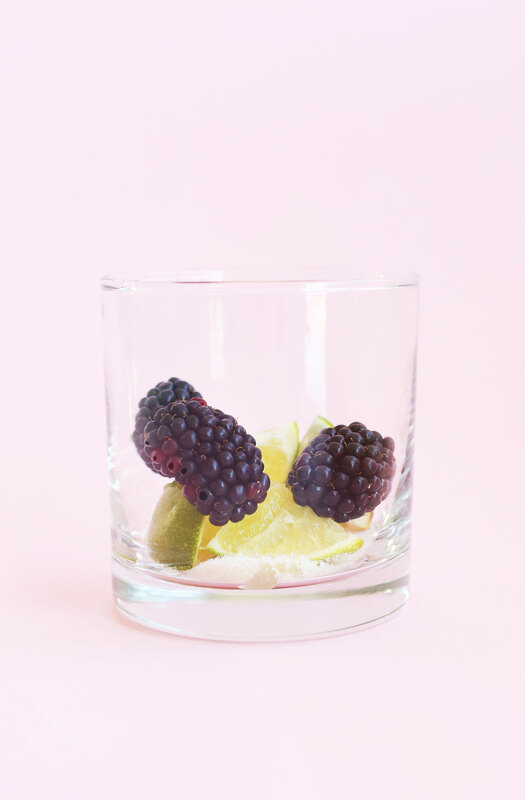 Gaahh — I love the muddled blackberries! Plus, our liquor cabinet is stocked with rum from our honeymoon, which was over 2 years ago (guess we’re not big rum drinkers when we’re not in the Caribbean). This recipe looks like the perfect way to put it to good use. ha! We aren’t usually big rum drinkers either. But I’d never turn down a mojito so it’s great to have on hand! I’m definitely in for your definition of summer! Gorgeous cocktail! And Saturday is National Mojito Day – I’m totally celebrating. Just a quick question – you mentioned gin in the body of the post and then in the recipe you used rum…do you have a preference? I think either would be amazing! Thanks! Definitely rum. We tried both and definitely preferred the rum version. Agreed! Hope you love this, Lane! Summery-indeed! This looks so refreshing and delicious! This looks like the perfect way to unwind from a long day at work! Great recipe! This drink is calling my name!! Gorgeous drink! Blackberries are my fave! OMG, OMG, OMG. Stop it right now. Is it 5pm yet and not 9am? I need to make this now! Basil is literally my obsession. Coming from an Italian family it has been growing in our backyard every summer for as long as I can remember. I put it in basically everything picked fresh from our garden. 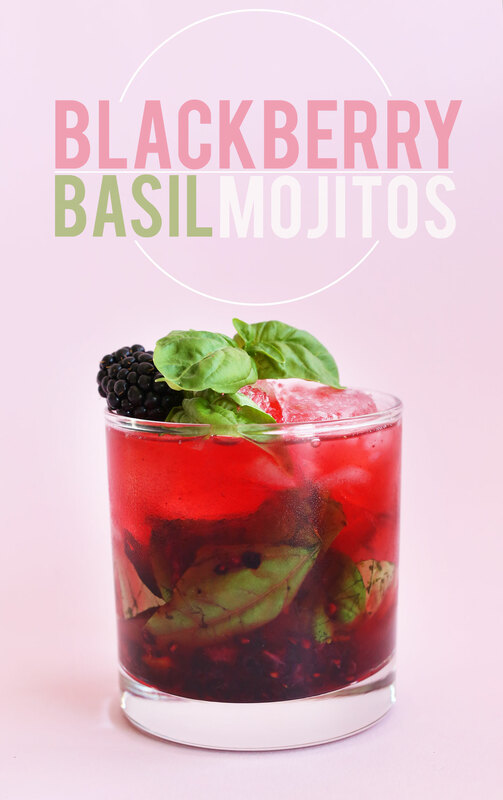 I love mojitos and blackberries too, so this is just perfection! I am SO with you. I think our cocktail preferences are perfectly matched. I’m also a mojito and margarita girl, and this variation is exactly the kind of thing I would make at home. Love it!